A small float plane crashed as it took off from Anchorage's Lake Hood Seaplane Base on Friday, according to officials. Initial investigations showed that the plane, a Piper PA-18 Super Cub, was departing Lake Hood when it lost engine power, said Clint Johnson, chief of the National Transportation Safety Board Alaska Region. The float plane took off from the water and headed north, Johnson said. When the engine lost power, the pilot tried to make an emergency landing at Lake Hood's air strip, but didn't quite make it, landing instead in the grass next to the runway, Johnson said. Two people on board suffered minor injuries, Johnson said. The NTSB was notified of the crash around 1:45 p.m. Friday. The plane's wings and floats sustained significant damage, said sergeant Daniel Nowak with Anchorage Airport Police and Fire. 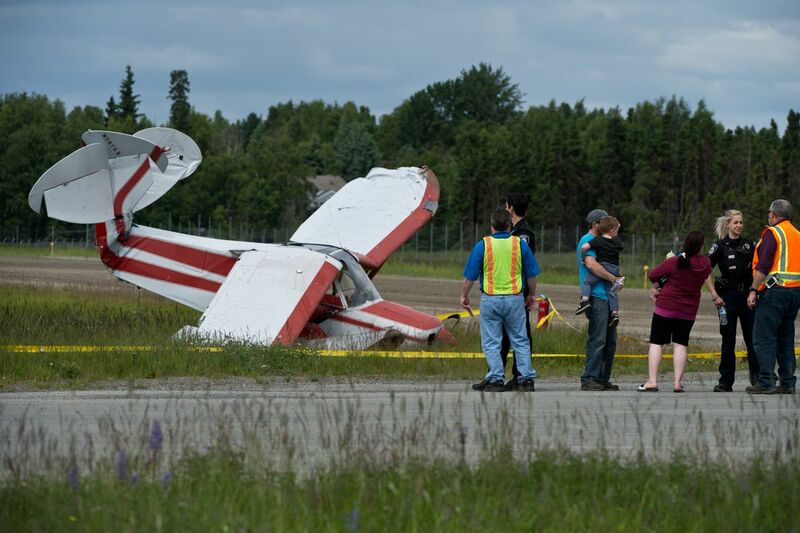 The Anchorage Fire Department responded and the two occupants of the plane declined medical treatment, Nowak said. The pilot was later taken to the hospital, according to Johnson. Johnson didn't have additional details on Friday afternoon, including where the plane was heading when it crashed. 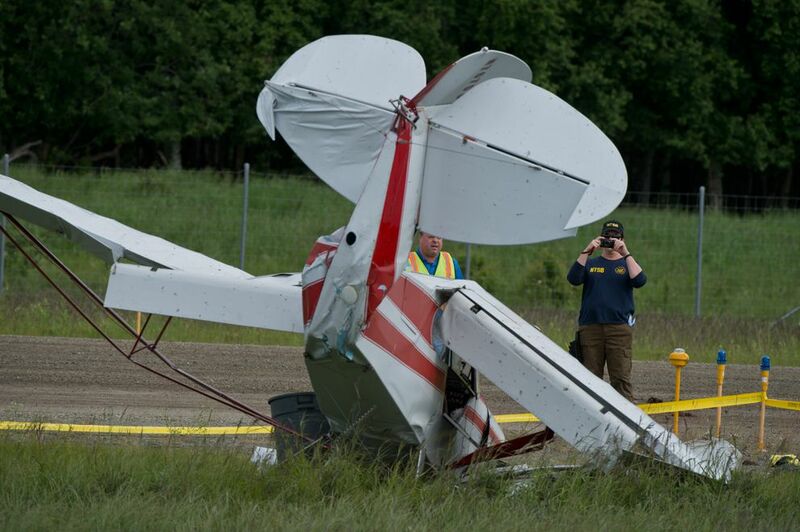 An NTSB investigator was en route to the scene on Friday afternoon, he said. As of 2:45 p.m., the Lake Hood air strip remained shut down, Nowak said. Correction: An initial version of this story said the plane departed Lake Hood's airstrip; it departed from the Seaplane Base. The plane was also first reported as a Piper PA-12; it's a Piper PA-18 Super Cub.